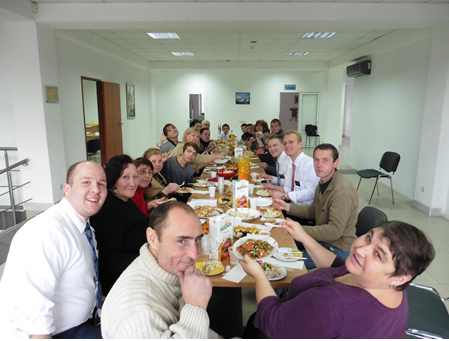 We celebrated Thanksgiving this week in the Branch, it was great. Every member gave thanks to God for what they had. Our investigators Ludmilla and Igor came. Also while we were teaching Igor this week, He finally committed to a baptismal date for the 17th of December, but didn’t come to church yesterday sadly. I am so grateful to be able to serve in Moldova.